Professor Barbara Bintliff received the AALS Section of Law Libraries and Legal Information Award earlier this month at the AALS’s annual meetings in New Orleans. Prof. Bintliff, the Director of the Tarlton Law Library and Jamail Center for Legal Research and Joseph C. Hutcheson Professor in Law, was honored for her contributions to teaching and scholarship. In selecting Bintliff for this honor, the award nominators focused primarily on Bintliff’s founding of the “Conference on Legal Information: Scholarship and Teaching,” an annual event referred to as the Boulder Conference. The Conference, entering its twelfth year, is the premier workshop for papers dealing with legal information issues. Participants have included doctrinal faculty, writing faculty, and law librarians from all levels of responsibility. The distinguished conference has led to dozens of papers, appearing in publications ranging from law library literature to law reviews to summaries in the ABA Journal. As former president of the American Association of Law Libraries, who has also served as president of the Southwestern Association of Law Libraries and Colorado Association of Law Libraries, Bintliff’s own writing record and many presentations at conferences world-wide no doubt impressed the nominators as well. 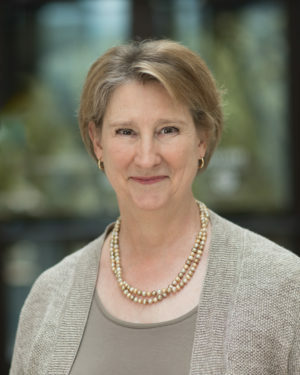 She has served as a leader at the national, regional, and state level and actively participates in AALS, AALL, ABA, ALI, and ULC, with numerous committee and working group appointments. Bintliff, whose research interests include examining the differences between using print and electronic media for legal research and understanding how different research methodology can at times produce disparate results, continues to spearhead an effort in the academy to increase the amount and quality of scholarship concerning legal research education and the use of legal information.